It’s that time of the year that , umm, well… we tend not to eat so healthy. Well today I am here to change all that. I have the perfect snack or quick on the go breakfast for you that will take minutes to make. 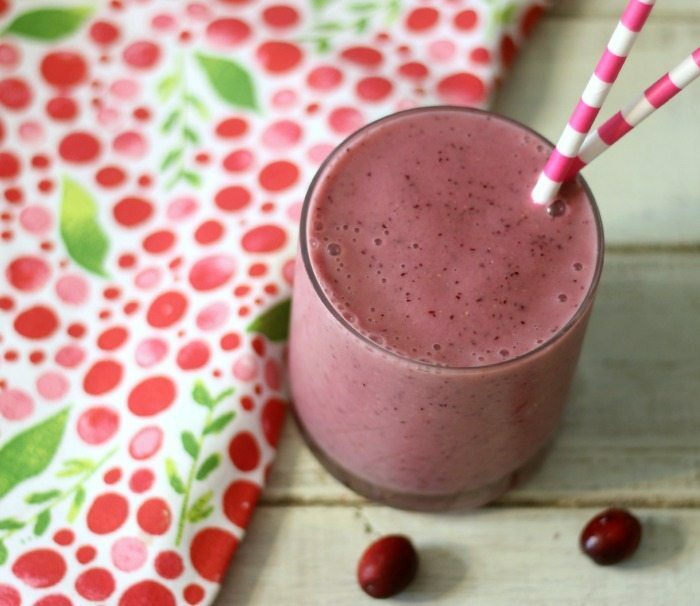 Now you can skip that coffee run in the morning and have yourself a good for you holiday smoothie. 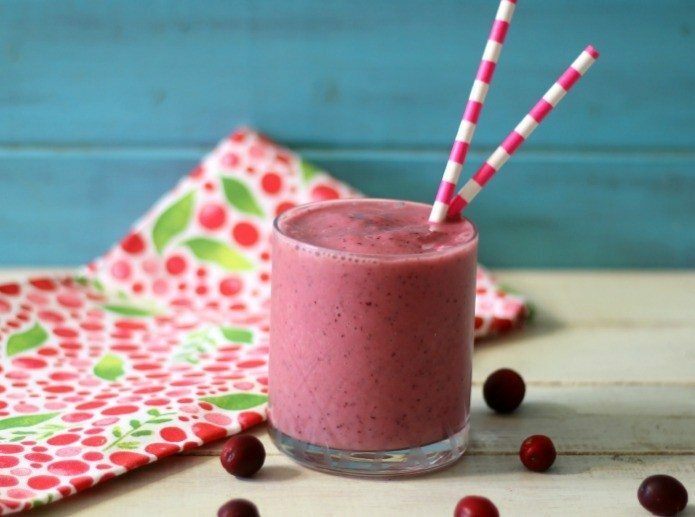 Today I am sharing with you my Strawberry Cranberry Smoothie. My smoothie is naturally sweet, made with fresh cranberries, which gives it the beautiful flecks of pink, strawberries, banana and Silk Cashewmilk. 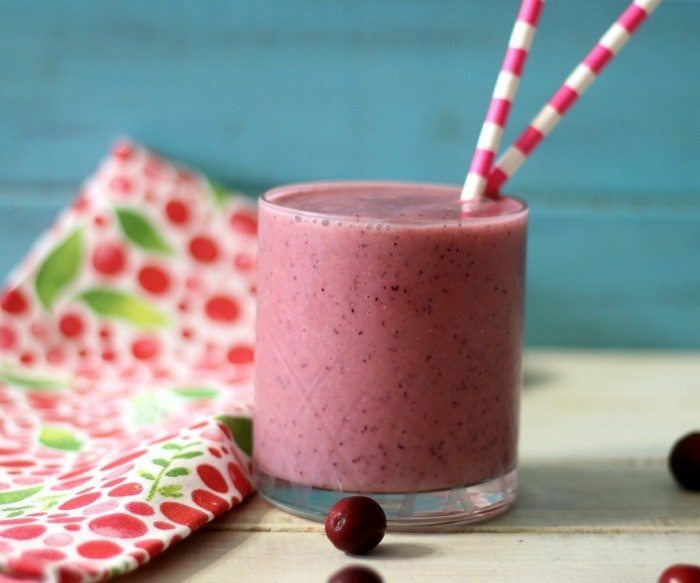 The smoothie tastes so refreshing, it’s filling and surprisingly enough, my Husband loved it. I know I am shocked too! This is the first time that I have ever had Cashewmilk and honestly I was afraid. I am not a fan of almond milk, even though I like almonds, so I thought I would feel the same about cashewmilk. But you know what? I was wrong. Cashewmilk, is creamy, slightly sweet, thicker than skim milk and you only get a pinch of cashew flavor. It’s actually really good and I happy to drink it plain. I am so happy that I found a low-calorie, dairy free, gluten-free, vegan drink that will be a compliment to smoothies and a great substitute for milk in any recipe that you make. I think you will be a fan too. I came up with this idea for the smoothie because I had a bag of cranberries that needed to be used. I thought the cranberries would give my smoothie a tart flavor, but it didn’t. I decided to add strawberries because it is one of my favorite fruits and it compliments cranberries very nicely. This is truly the perfect drink for me. 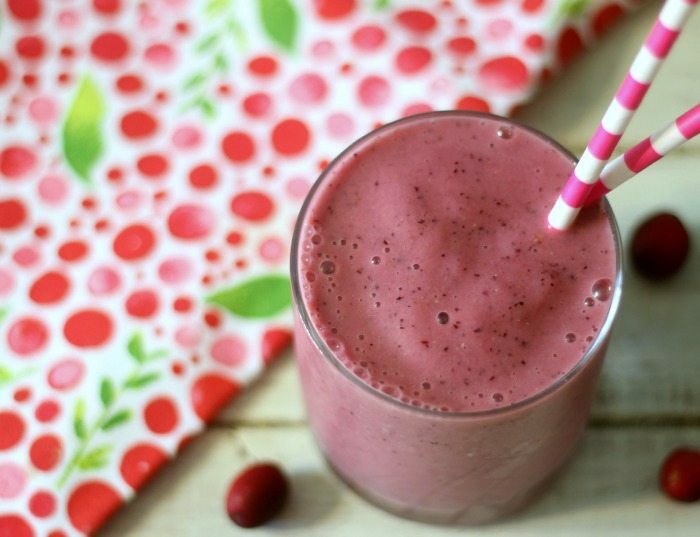 A creamy, holiday dairy free smoothie made with fresh cranberries, strawberries, banana and cashewmilk. 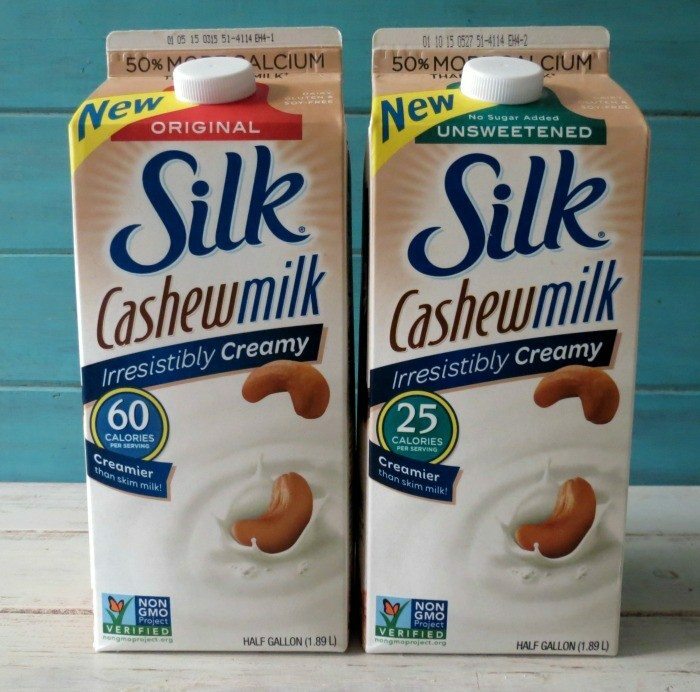 Silk Cashewmilk comes in two flavors Original and Unsweetened. I used Original in this recipe. Silk Original Cashewmilk: 60 cal/serv; skim dairy milk: 80 cal/serv. USDA National Nutrient Database for Standard Reference, Release 26. Data consistent with typical skim dairy milk. For the latest news you can sign up for Silk eNewsletter at silk.com signup to get the latest news and an instant coupon! For Recipe ideas you can always check out the Silk Cashewmilk Pinterest Board. Lots of great recipes! I saw a few I need to try! You can also check out the Silk on Facebook and let them know what you think of Silk Cashewmilk. Have you tried Silk Cashewmilk? What do you think about it? Any suggestions of a recipe swap?